This booster is the best for Cars, Vans, Boats or Trucks. 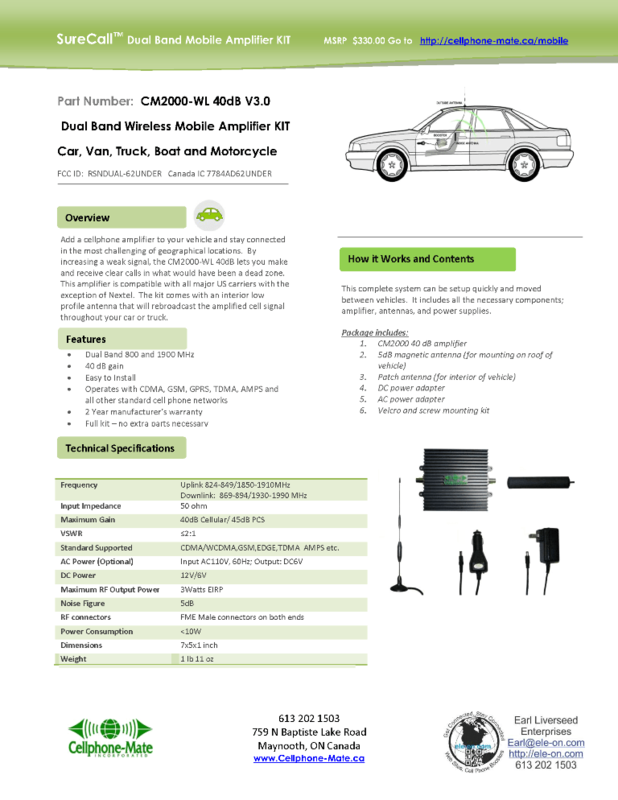 Add a cellphone amplifier to your vehicle and stay connected in the most challenging of geographical locations. By increasing a weak signal, the CM2000-WL 40dB lets you make and receive clear calls in what would have been a dead zone. This amplifier is compatible with all major US carriers with the exception of Nextel. 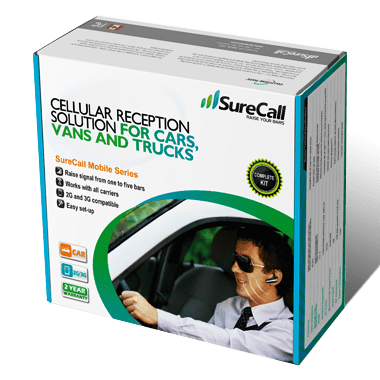 The kit comes with an interior low profile antenna that will rebroadcast the amplified cell signal throughout your car or truck.